Our Beauty Therapists are highly trained and specialize in all aspects of Waxing to cater for all of your waxing needs. 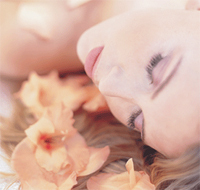 We also perform IPL Hair Removal treatments for a permanent reduction of hair growth. Our services cater for both men and women and are at extremely competitive prices. Body Lingo maintains a very high level of hygiene and complies with all of the current health regulations. At Body Lingo we only use the best products available on the market to make your experience at Body Lingo more comfortable. Highly controlled flashes of light are used to heat the hair follicles below the surface of the skin. The heat damages or destroys the regrowth potential of the follicles below the surface of the skin. The heat damages or destroys the regrowth potential of the follicles without damaging the surrounding tissue, causing an amazing result of permenant hair reduction. The hair will fall out 7 - 14 days after treatment. Treatments are recommended 6 - 8 weeks apart and you will generally need between 4 - 6 treatments for a 90 - 95% of hair reduction.